Last Thursday morning our IB Visual Arts students headed up to the Southern Highlands to take part in the Sustainable Arts Camp. The program was specifically designed to develop student’s practical skills in ceramics, sculpture, installation and photomedia along with teaching EMS students about sustainable living and environmental art amidst nature in a harmonious environment. 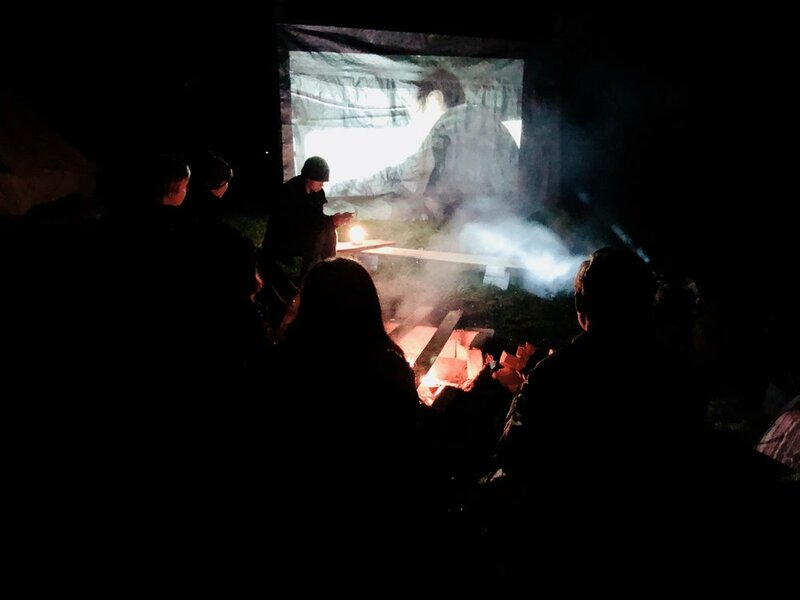 During the three days students were able to build on their artmaking skills and experiences while camping out. 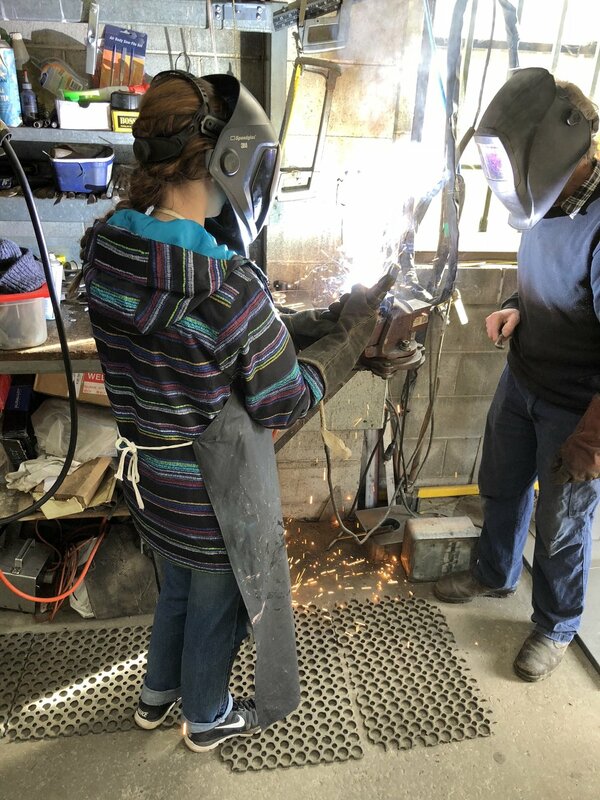 Students collected recycled metals and designed sculptures to take to Bert Manning’s studio where they were introduced to tools and assemblage with practical demonstrations. Here they learnt the art of pop riveting, soldering and welding. As thinkers they applied critical thinking to solve creative problems. After the completion of their sculptures our students headed back to camp to load the pit fire, setting it up with collected dried seaweed, pistachio nuts, banana skins and citrus fruits. As risk takers they used techniques and materials they had researched in order to create colour in the ceramics works. The next morning students hiked Mount Gibralter with their cameras, in search of a site to construct and document a collaborative ephemeral sculpture made from found materials in the bush. As communicators they worked collaboratively to solve various problems and share ideas. After lunch we went to Sturt Gallery for curatorial practices and viewed the ‘Cultivate’ exhibition inspired by nature. That evening was spent watching Vik Muniz artmaking practice bring trash to life in the ‘Wasteland’ Documentary. As knowledgeable students they learnt a variety of skills and techniques that enabled them to produce work that shows in-depth knowledge of concepts, ideas and issues of local and global significance. On Saturday students went to the Milk Factory Gallery in Bowral to view an indigenous exhibition, from the private collection of Jan Karras owner of Raglan Gallery. This wonderful selection of Aboriginal artwork included pieces from Wenton Rubuntja, Annette Pitjara, Maudie Peterson Nungarrayi, Theo Brown Tjapaltjarri, and others. The exhibition featured works from Arnhem Land and the Central Western Desert. As Principled DP students the group respected artists and cultural groups aware of identity and artistic representations. Jenny Fusca gave an artist talk to the students about her work in the Florianaexhibition. 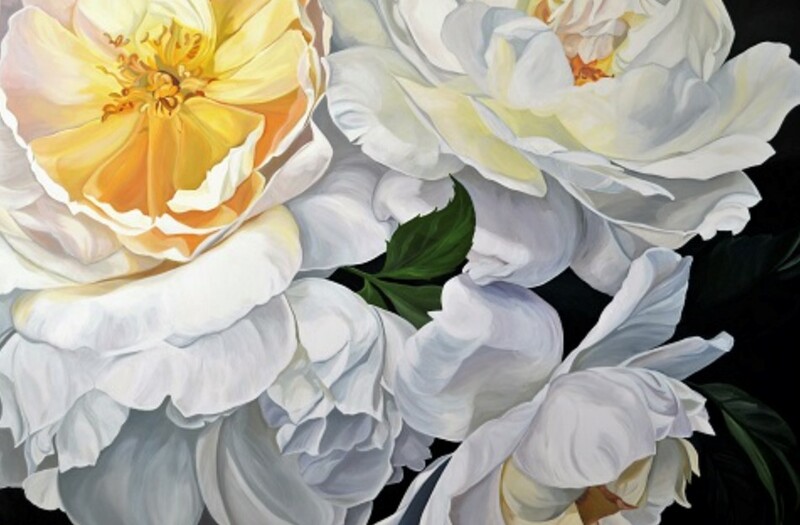 Her paintings are a joyful, modern expression of flowers. Her works are bold, immersive and sensitive: capturing a fleeting moment in the life of a bloom. Our IB students acted as inquirers, asking interesting questions about Jenny’s work, fostering the love of learning about new media and techniques. Students learnt to appreciate that visual arts is expressed in many art forms for different purposes and audiences by being well-balanced. Newer PostTrivia Night "Winter Wonderland"